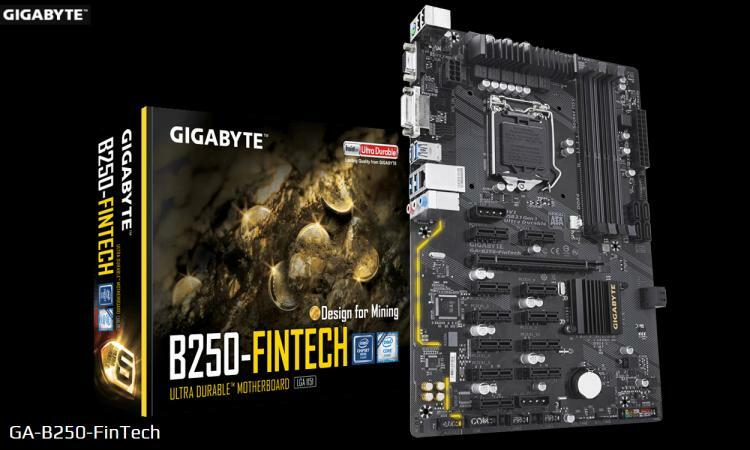 GIGABYTE presents the B250-FinTech motherboard featuring the entry-level Intel B250 chipset along with mining-oriented features. 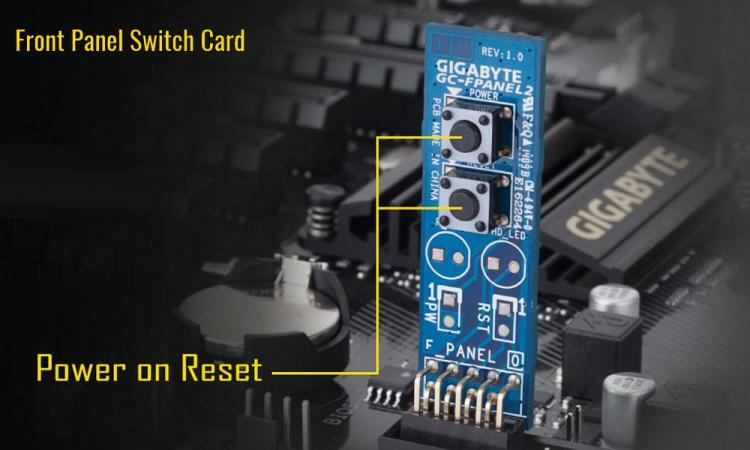 The GIGABYTE B250-FinTech motherboard uses Ultra Durable components to withstand mining operation along with 12 native PCIe slots and dual 12V AUX power connector for PCIe slot offering miners high efficiency and yield. 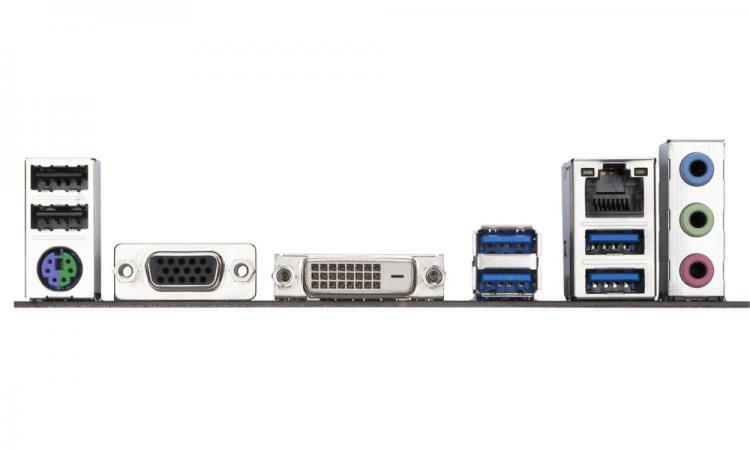 To further assist mining builders, the GIGABYTE B250-FinTech comes a Mining Kit consisting of a 3-for-1 power cable that connects multiple power supplies to support all 12 possible graphics card configuration and a Front Panel Switch Card, a tiny module that adds a power-on and reset button for your system right on the motherboard. 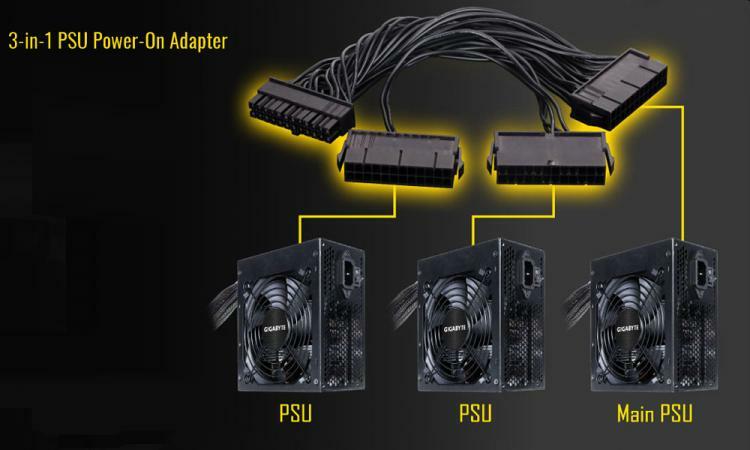 It also uses a fine-tuned BIOS Mining Mode that’s optimized for mining operations. Information on pricing and availability not available as of this writing. 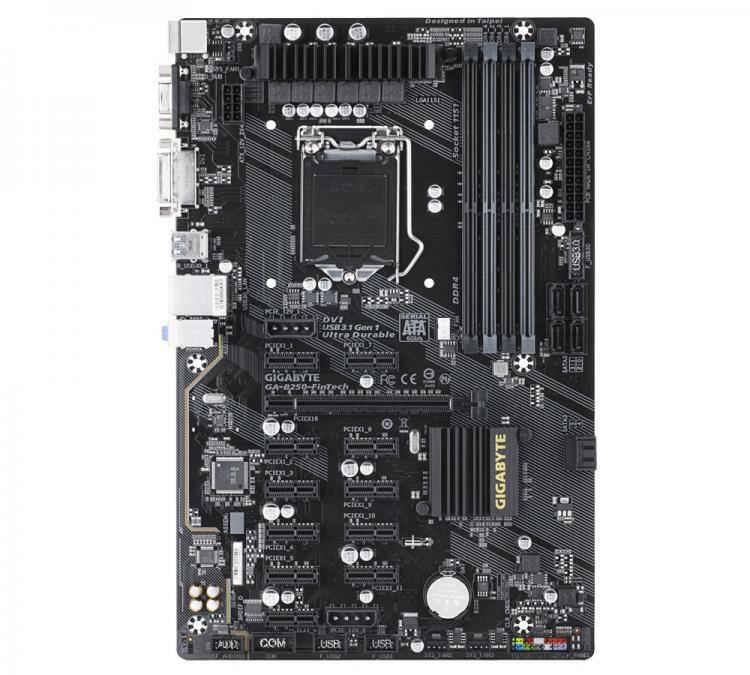 For more information about the GIGABYTE GA-B250-FinTech Motherboard, visit the product page at the GIGABYTE website.